The room is a pleasant space, in the ground floor of the house. 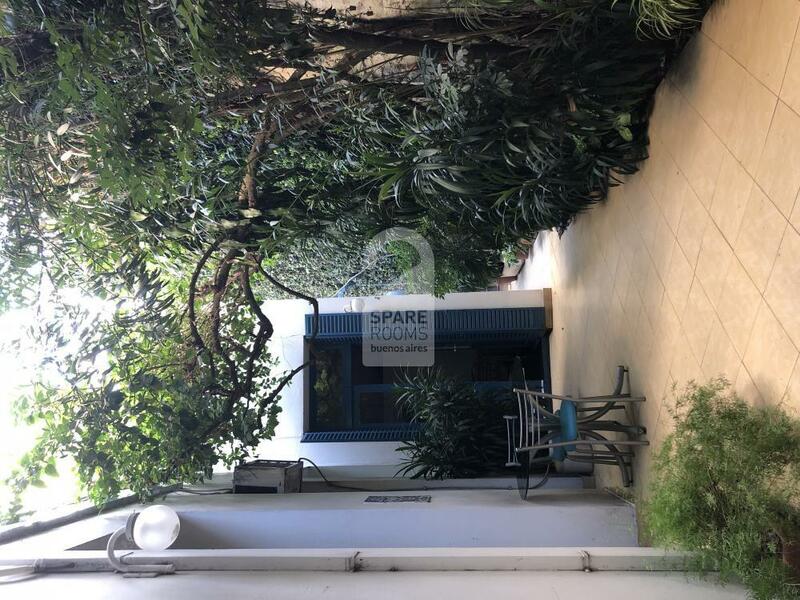 It has its own courtyard and it's very quiet and has very big dimensions. 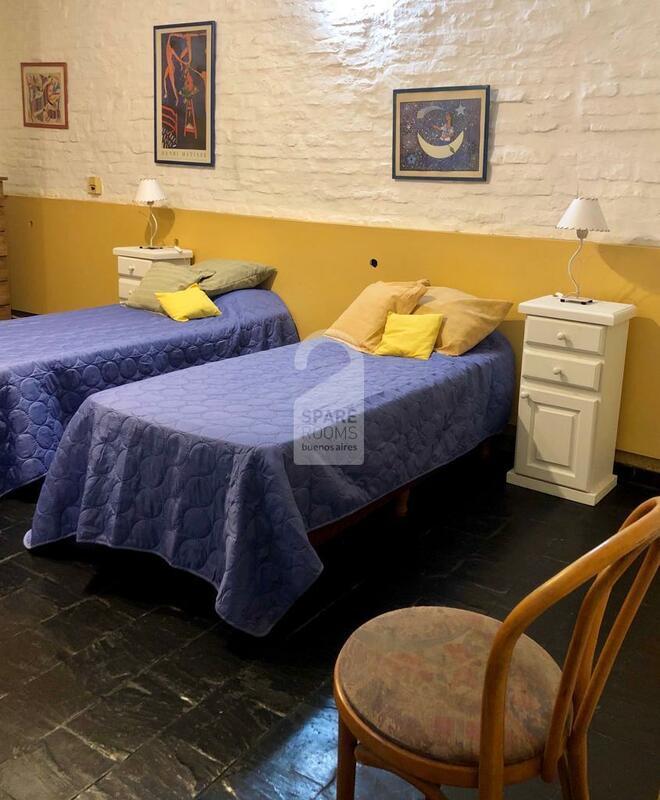 There are two single beds with their night tables. 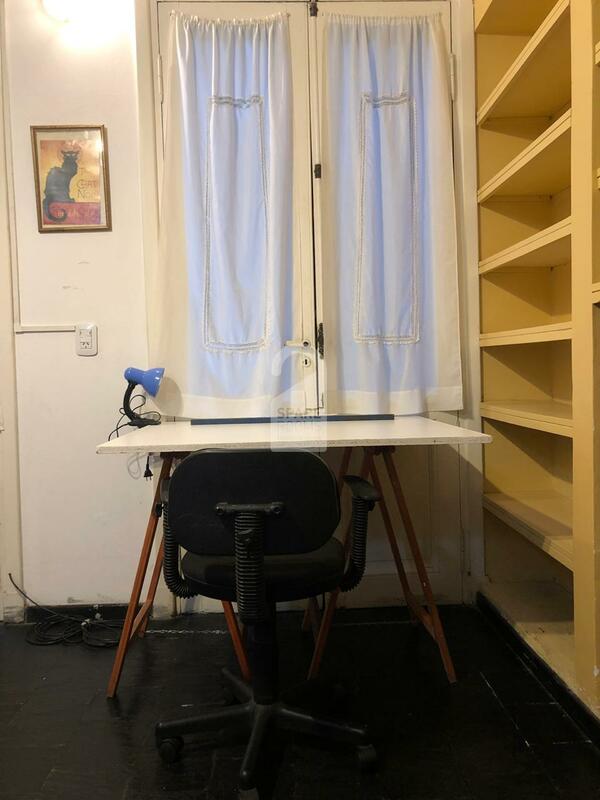 There is a desk with a chair and an extendible table. The closet is spacious and there is a chest of drawers. There is also a large bookcase. The bathroom is exclusive for the room. Location: Honduras Street between Serrano and Gurruchaga Streets. 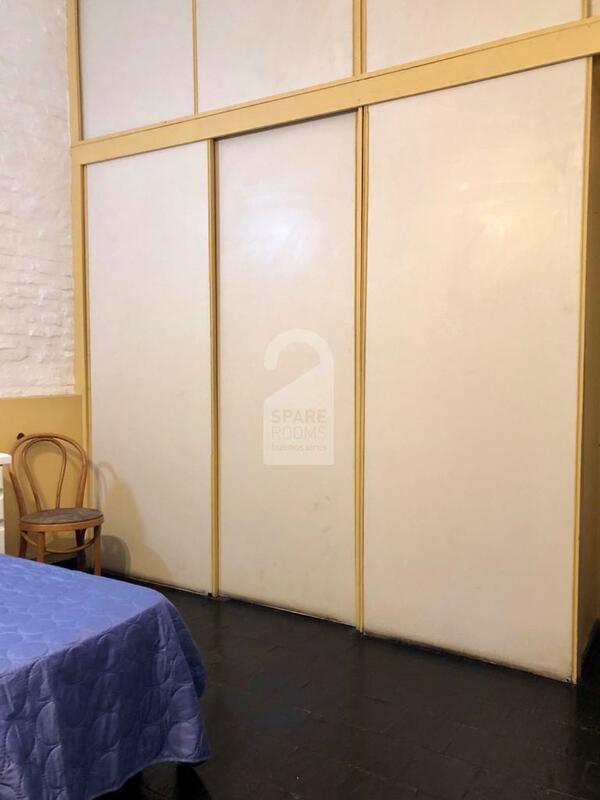 Very large single bedroom with a private bathroom and direct access to a courtyard, for rent in a house with a yard in the animated Palermo Soho neighborhood, only one block away from the famous Plaza Cortazar, and three from Plaza Armenia. It's a tipical 20' style house, renovated. 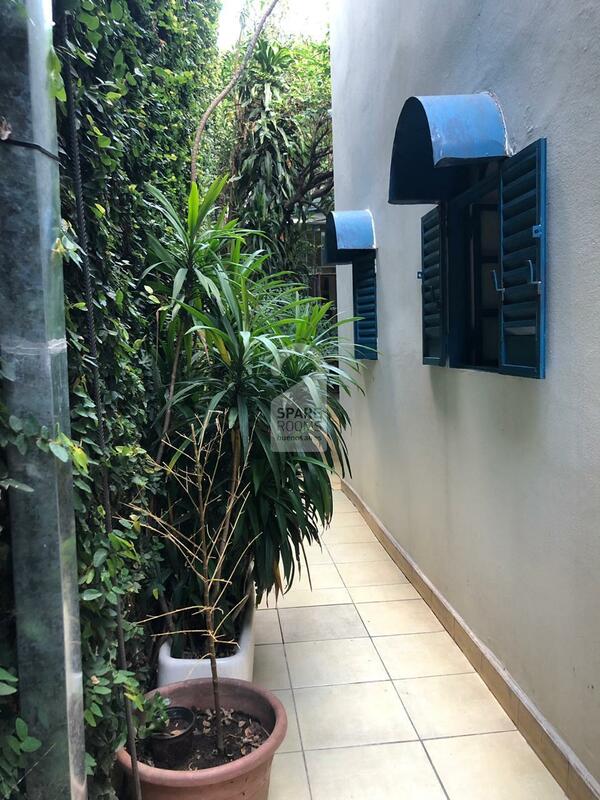 It has a patio with a lot of plants with vine in the walls and painted in white, with blue shutters. 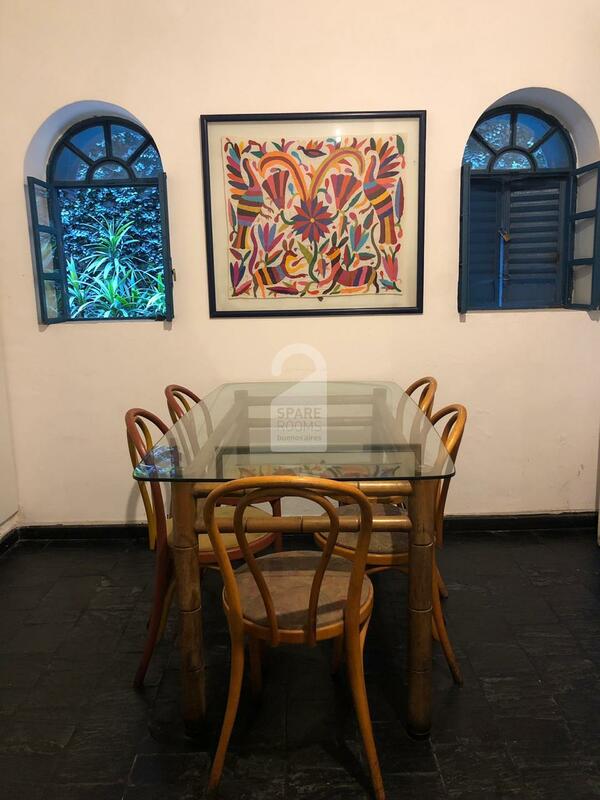 Evryone who knows the house describe it as a warm, pleasant and "buena onda" place. The entry hall has shelves with craftwork from different trips and 2 armchairs. 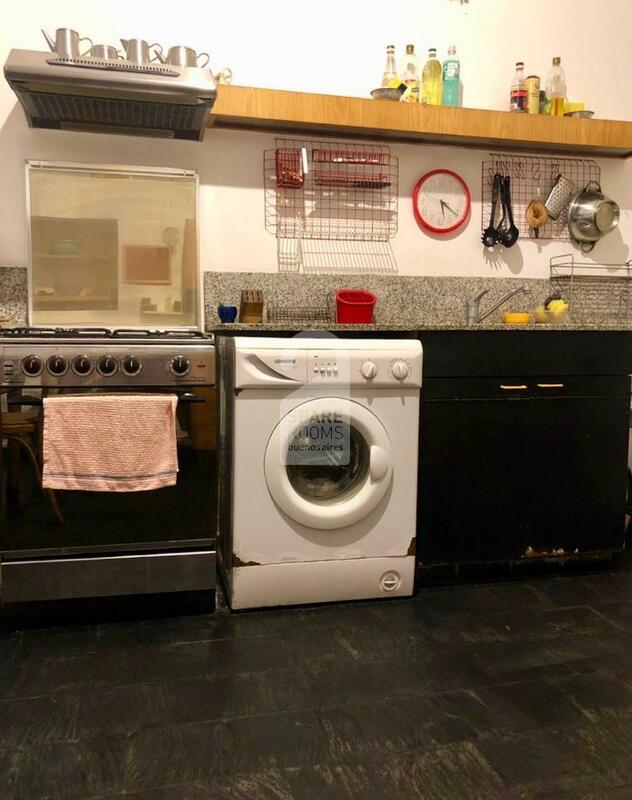 You will share the kitchen with 2 other guests, as the host has her own kitchen. 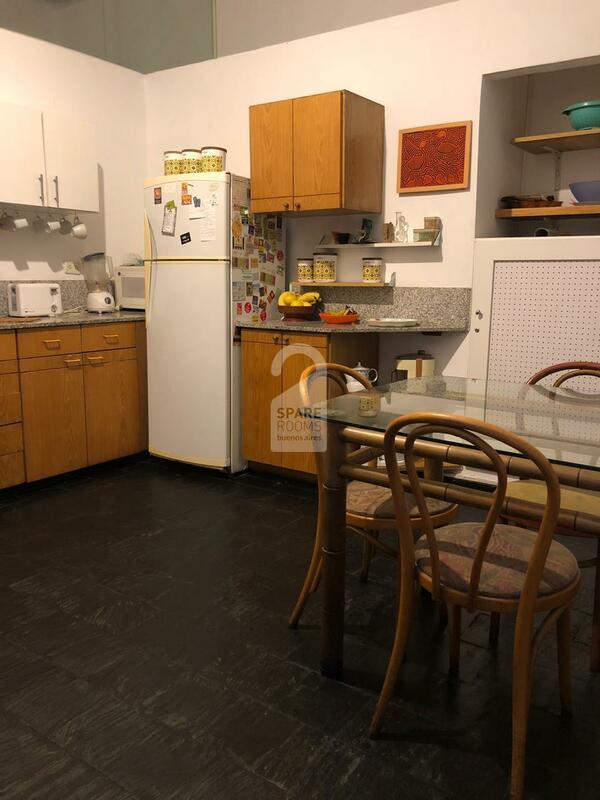 It's a very spacious kitchen and dinning-room with a fridge, microwave, stove and oven and complete cooking utensils. 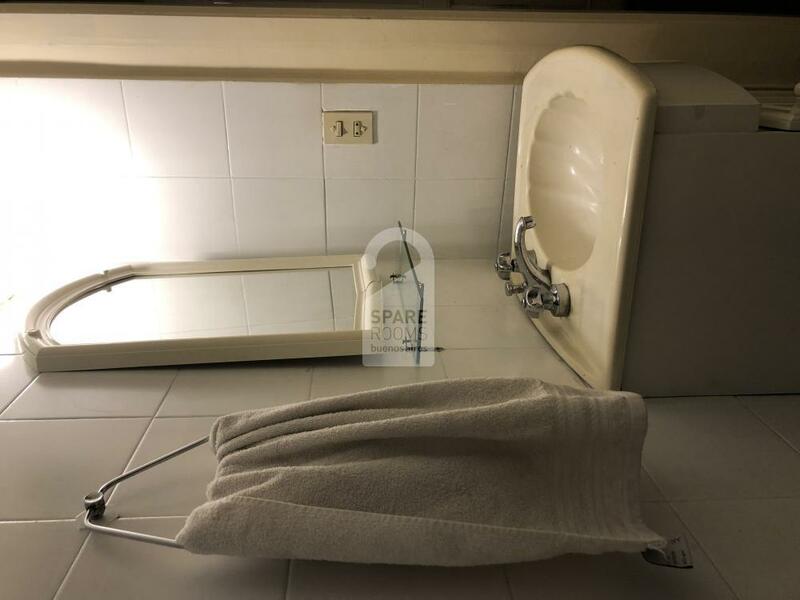 The private bathroom has shower, W.C and sink. The guests kitchen and dinning-room. 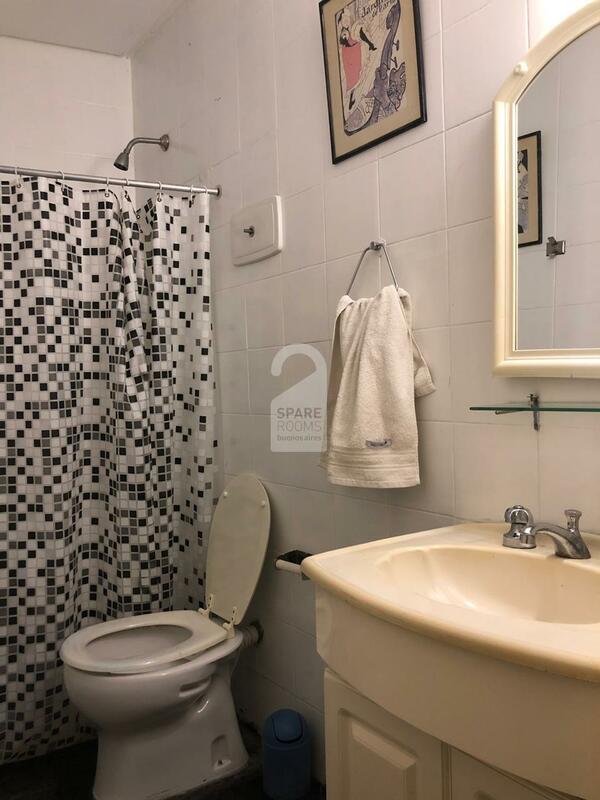 The house is meters away from Plaza Cortazar, famous for its bars, markets and fairs, in the most trending area of Palermo. It's a very dynamic and pleasant spot, with lots of shops, design stores, restaurants and very connected to public transport. It's only 8 blocks away from the central Plaza Italia and the Botanical garden. Palermo Soho is the most bohemian section of the Palermo neighborhood. 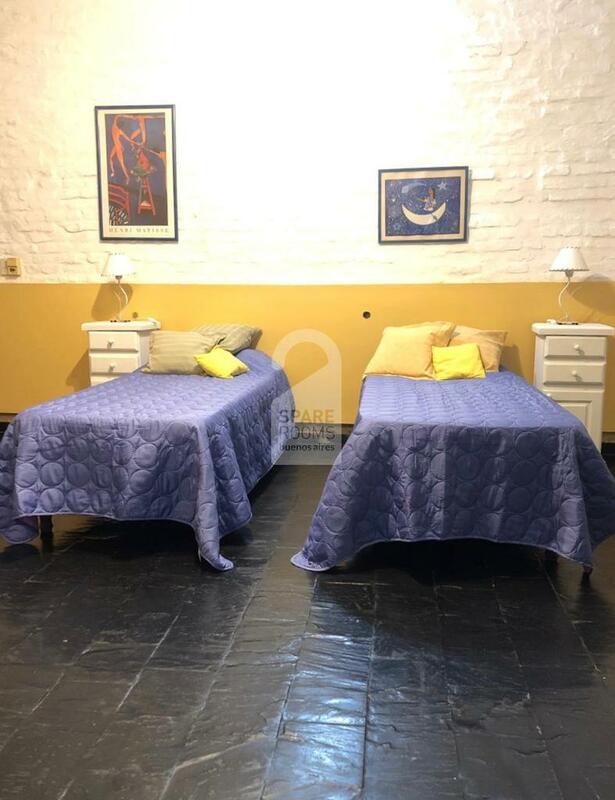 Located around Plaza Cortázar, the neighborhood is similar to New York's Soho because of its independent design scene and its cuisine, which is why many visitors choose to rent rooms in Palermo Soho. You can go for a walk in Plaza Cortázar (Cortázar Square), better known as Placita Serrano, where the weekend plastic arts and crafts fair becomes crowded with both local and foreign visitors. There are also places inside cafés and restaurants that sell items and designer clothes in line with current trends. At night the area transforms itself into the epicenter of nightlife. 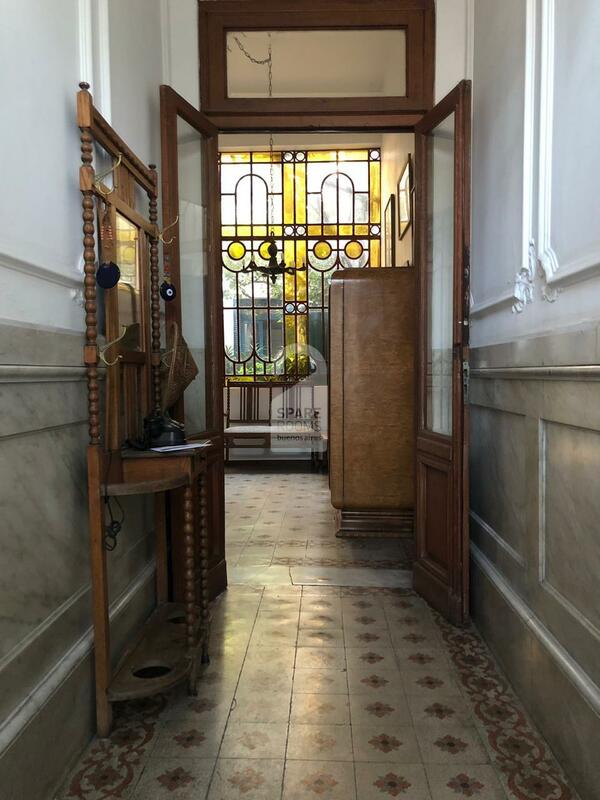 If you like fashion, design and cuisine, Palermo Soho is the perfect neighborhood for you to rent a room in. Silvia says about her neighborhood: "What I like most of this neighborhood where I have lived for 35 years, is thay it's very animated. As it's very visited, it's very safe, including at night. I can simply add that it's still the place that I would chose again to live." Silvia is 72 years old, she's a sociologist, and she defines herself as a positive, flexible and well informed person. She likes to do yoga, to read and watch moovies. Station Pacífico, Line San Martin, 10 blocks. Station Plaza Italia, Line D, 7 blocks. 39 140 151 168 34 141 15 110.